Mmmmmkay. After these, I am done with baking with diced fruit for a while. 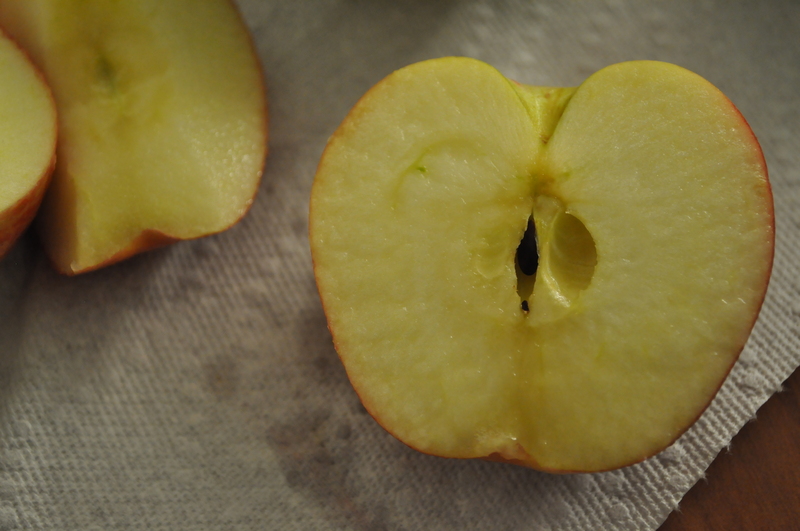 Do you guys have any idea how time consuming/irritating it is to peel apples or pears without a peeler? I did it by hand! With a knife! Not that I had anything else to do. So it was fine, I was just so over it by the time I finished. But it was absolutely worth it. Baking on a college budget/in a tiny apartment is always rather challenging, but I make do. I don’t know what I would do without baking, seeing as it is the only thing keeping me at least somewhat mentally stable at the moment. Peace, love and scones 4ever. I was home alone and in a funk this morning that only baking could cure (as usual). Aaaand I was in the mood for scones. And I recently bought pears. So pear scones it was! My morning was spent blasting the new Band of Horses and Grizzly Bear albums at an obnoxious volume, drinking iced coffee, and baking/dancing around with no pants on. Pretty standard morning for me, to be honest. Hey, it made me feel better, so why not? 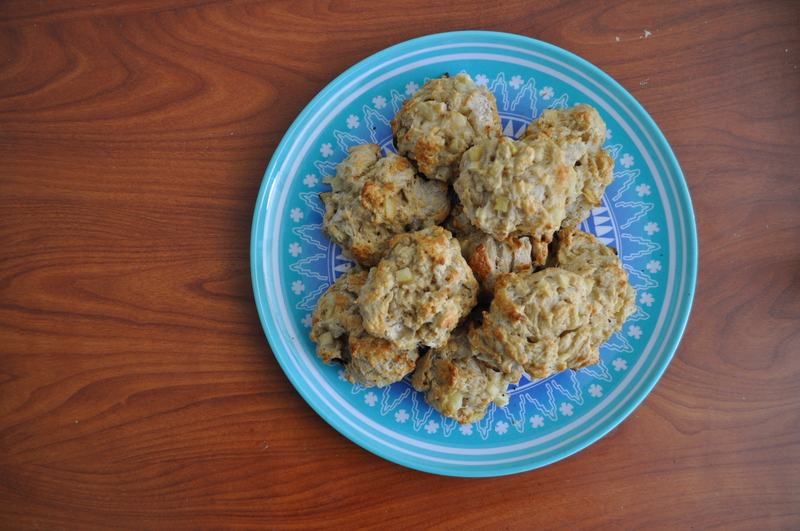 I just used my version of my delicious go-to, basic scone recipe (this one for cardamom ginger scones–which are DELICIOUS by the way–minus the cardamom and ginger of course) and tweaked it a little to make these delicious bits of scone goodness. As usual, I halved the recipe (2 dozen scones for the 4 people living in this apartment would have been a bit much), but I’ll post the full one for all of you lovelies. Preheat the oven to 400. Grease a baking sheet and set aside. In a large bowl, mix together flour, baking powder, salt, and cinnamon. Add butter, milk, an egg, and your applesauce and mix together until just combined. Don’t worry if your butter isn’t all the way mixed in–it’s okay if there are still some little chunks. Don’t overmix it! 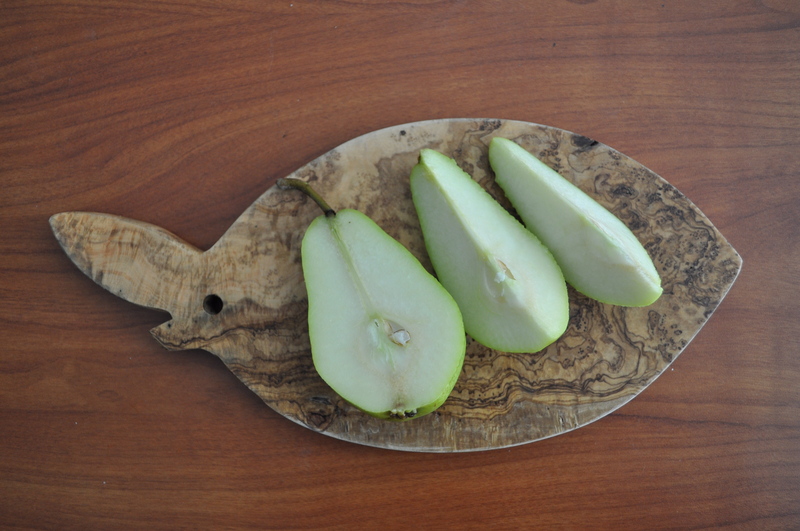 Once ingredients are sufficiently combined, fold in your pear pieces. Place very heaping tablespoons of dough on your greased baking sheet a few inches apart, whisk together your brown sugar and the other egg, and glaze each scone with the mixture. 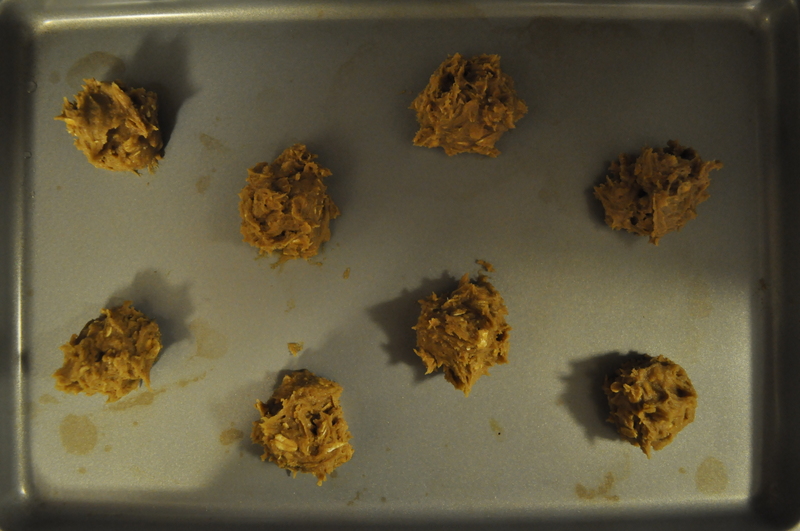 Bake for 15-18 minutes or until the edges are golden brown; mine took about 16 minutes. Don’t bake them for too long or they’ll dry out and won’t be nearly as delicious! As usual, I always recommend you eat one warm. Prooobably with a glass of milk. I may or may not have already eaten two of these. No regrets, just scones. Wishing all of my New York fwiends a nice, cozy thunderstorm day! 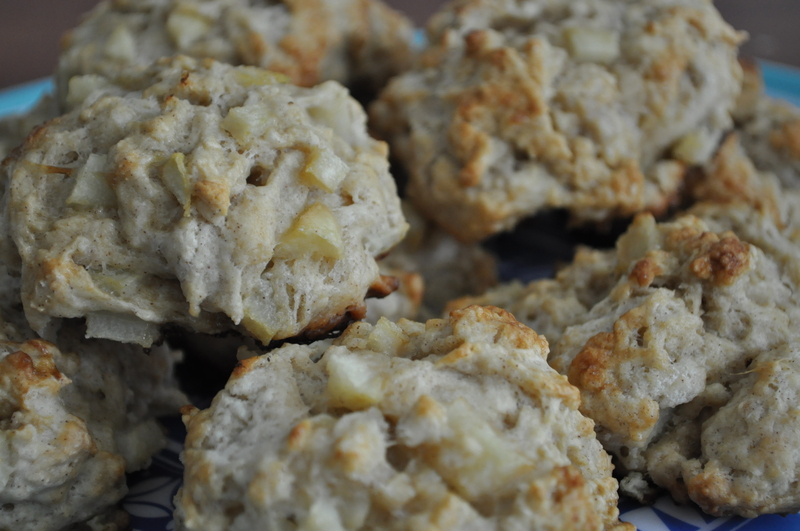 Categories: Uncategorized | Tags: breakfast, cinnamon, pear, scones, snack | Permalink. Roommate: They smell heavenly but I’m so full. I don’t know if I can do it. Me: Maybe just a bite of my muffin? I kid you not. This seems to happen a lot with my baking. My roomies are the most lovely little culinary-confidence boosters. I love ’em. Anywaaaaays. Okay, I’m not trying to brag, but these were some pretty awesome muffins. I adapted the recipe from Smitten Kitchen who adapted it from some other recipe (King Arthur Flour? )..lots of adapting. Regardless, these muffins turned out wonderfully! Mine are not, however, whole wheat. 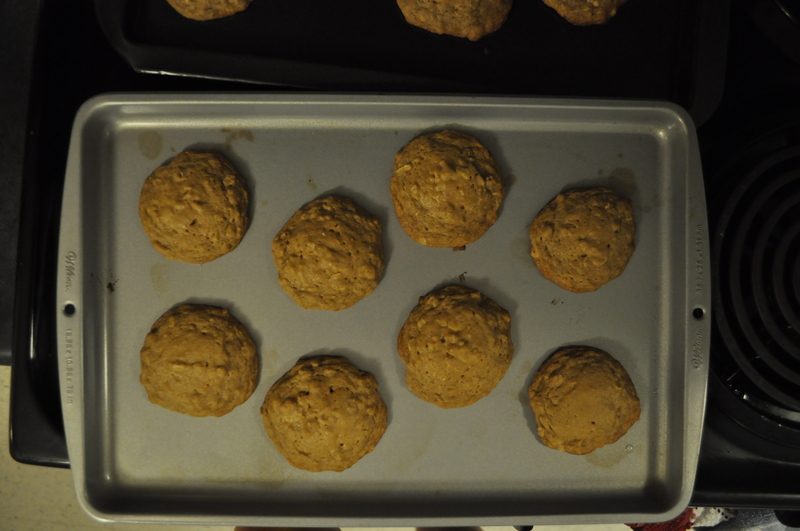 Being a college student with limited baking resources, I do not own whole wheat flour. Maybe someday. If I’m feeling ambitious. Also I did not have buttermilk OR plain yogurt. But I made do just fine. And they turned out FAB soooo yay try my version! Preheat the oven to 450. 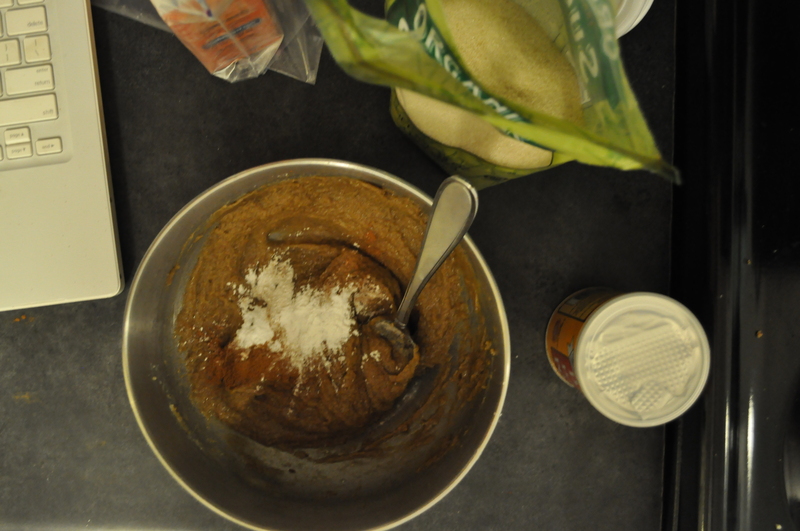 Mix together the flour, baking soda, baking powder, salt, and cinnamon in a bowl and set aside. Cream together the butter, sugar and brown sugar in a separate bowl until combined and fluffy, then add the egg and mix again. Next, gently mix in the yogurt until just combined. Finally, fold in the apple chunks (ugh I had the word CHUNK but it had to be said) and divide the batter into a greased muffin pan (again, I used my go-to coconut oil) and sprinkle some brown sugar on of each muffin so they turn out nice and crunchy and yummy. Bake for 10 minutes, turn the oven down to 400, and bake for another 5-10 until a toothpick comes out clean. Mine only needed an extra five, and even then they were a little crispy. I probably could’ve taken them out sooner, but they were fiiine. The batter may seem super thick, but don’t worry! Mine certainly was. I blame the greek yogurt. But it made the muffins super moist and perfect so I’m okay with it. The original recipe said this made a dozen muffins, Smitten Kitchen said 18, and I ended up making 16 soooo I guess it really depends on your batch! I’m so glad I decided to buy a muffin pan immediately upon moving into my apartment. Solid investment. 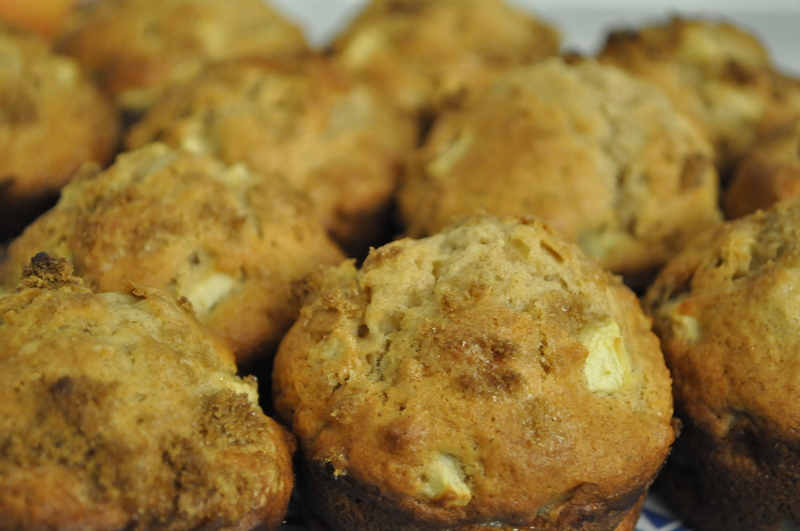 Categories: Uncategorized | Tags: apple, apple muffin, breakfas, breakfast, cinnamon, muffin, snack | Permalink. Preheat the oven to 350. Grease a light cookie sheet with whatever you usually use (coconut oil for me!) and set aside. Cream together the butter and sugar until they’re nice and combined. Next, add the egg, vanilla, lemon zest, and lemon juice and mix. Slooowly add the dry ingredients a little bit at a time except for the powdered sugar–you’ll need that to roll the dough in! Make little heaping-tablespoon-sized balls of dough, roll them in the powdered sugar, and place on a baking sheet. Bake for 9-11 minutes (mine took juuust over 9) until the edges are a teensy bit golden brown and the middle looks like it has set and is no longer shiny. Remove them from the oven and make sure you let them cool for a couple of minutes before trying to take them off of the cookie sheet or they’ll fall apart! Eat one warm with a glass of milk. I highly recommend it. Baking cookies is my drug of choice. I hope these make you as happy as they made me (and my lovely roommates, of course). 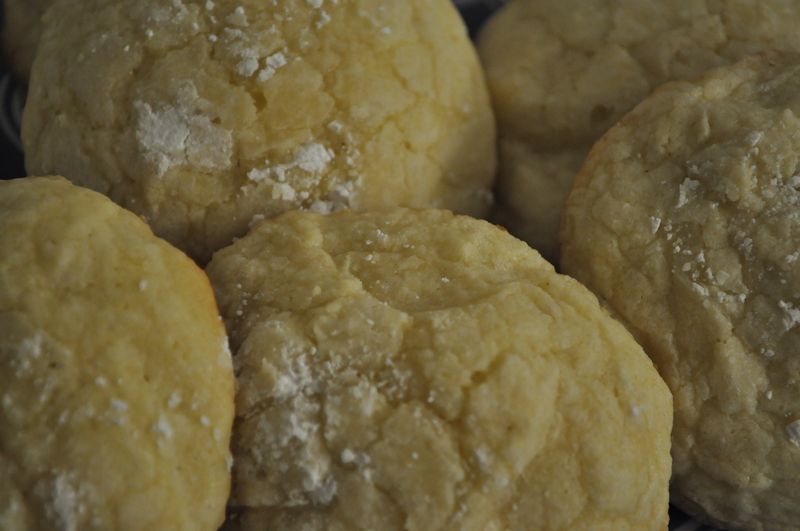 Categories: Dessert | Tags: cookies, dessert, lemon, lemon cookies | Permalink. All you have to do is hollow out the mushroom caps with a spoon and stick them in the oven for about 7 minutes at 400 degrees. 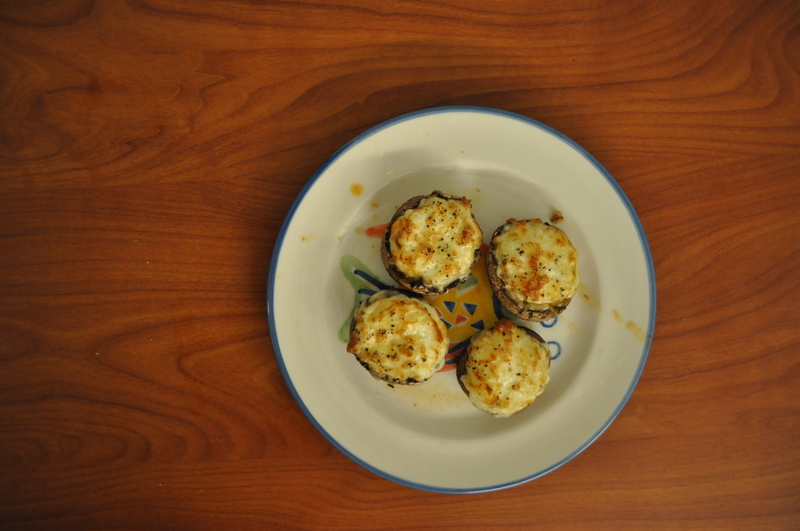 Mix the egg white and cheese, pull your little shroomies out of the oven, spoon a little bit of sauce into the bottom of each, add the cheese, and broil in the oven on high until the cheese is nice and bubbly and golden. How easy is that? Alsooo you can put whatever toppings you want/will fit on your teeny pizzas (obviously), I just didn’t have anything. College student problems. Categories: Dinner, Snack | Tags: dinner, mushroom, pizza, pizza bites, vegetarian | Permalink. 1) Okay I admit, this is from a few days ago. Blogging at school proves rather difficult; I just have so much stuff going on that even though I’m still cooking fairly often, it’s hard to keep up with recording it. I’m doing my best, though! I promise! 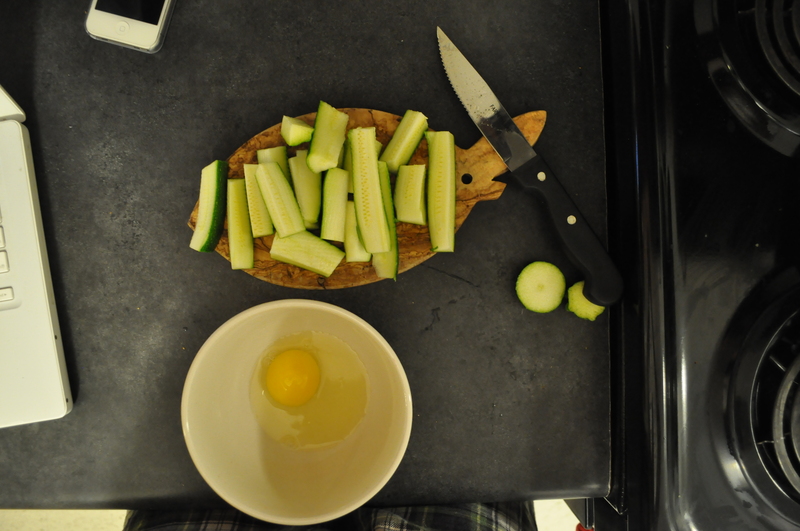 I need to cook almost every day in order to keep my sanity, so as long as I’m (somewhat) sane, I’ll be bloggin’ away. 2) Yes, this does look a liiiittle funky due to the less than ideal lighting in my apartment, but I promise it was yummy. 3) Last but not least, this dish was pretty heavy. We’re talking creamy, cheesy, avocado-y goodness. This recipe is not for the faint of heart. (In terms of consuming it, I mean. It wasn’t hard to make at all!) It was awesome, I would just recommend not eating too much of it (same thing goes for anything creamy, of course) or you may or may not explode. First of all, cook your pasta! You should all know how to do this. If you don’t, I worry. Read the box. After your pasta is cooked, set it aside and make the sauce. First, peel and pit your avocado and mash it to your best ability. If I had a food processor in my teensy college apartment kitchen, I would have been more than happy to use it, but alas, I had to put my roommate to work mashing the avocado manually with a fork (she did a wonderful job; such a trooper). 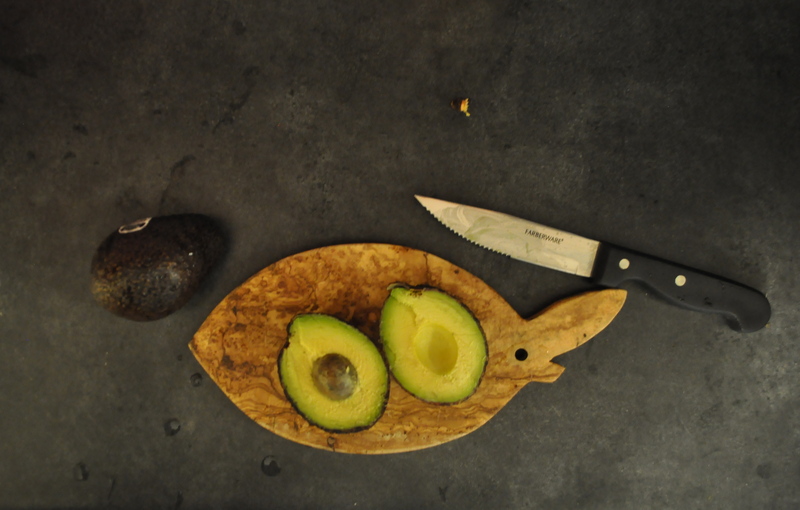 Season your mashed avocado with salt, pepper and garlic powder and set it aside. Try not to eat it like on chips/your fingers like I may have done. Oops. Next, put your butter in a saucepan on medium heat to melt it completely. Whisk in the flour, then the milk and stir until the it thickens. Add in your cheese and stir more until it is completely melted together. Now all you have to do is mix your avocado into your cooked pasta, add the cheesy sauce, and enjoy! Like I said, a little funky looking, but much yummier than it looks. I promise. 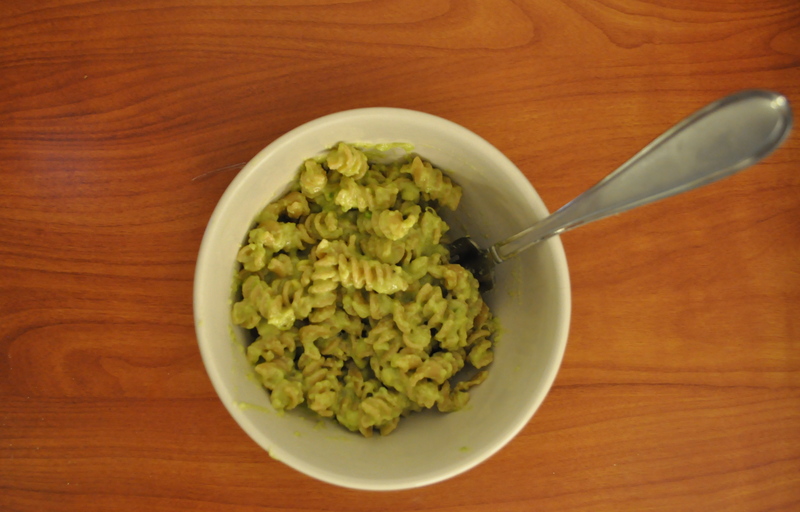 Categories: Dinner | Tags: avocado, cheesy, dinner, mac n cheese, pasta | Permalink. Okay. Just. Okay listen. I just ate three of these cookies in a row. I can’t be stopped. These are JUST SO GOOD. I want to be surrounded by the smell of them always. The apartment smells like cinnamon heaven. I can’t rave about these cookies enough. I really can’t. 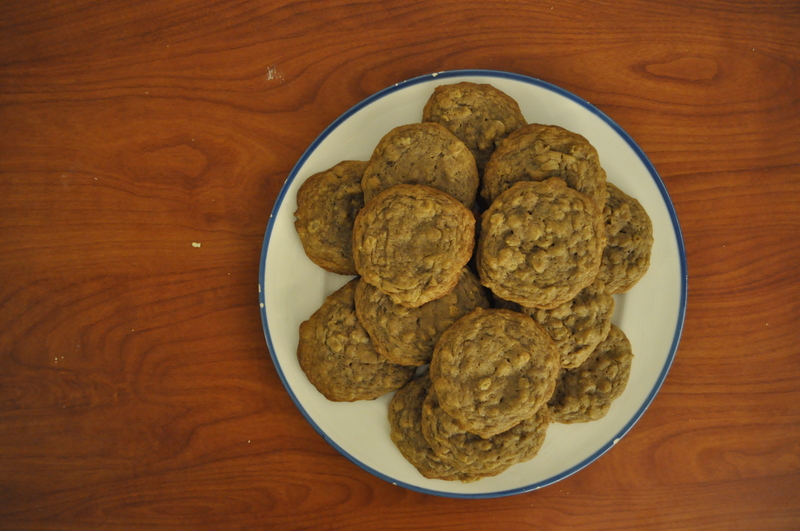 They were perfectly chewy without being undercooked; honestly they were just the epitome of cookie goodness. I find that whenever I’m in a funk, the one thing that makes me feel better for the time being (guaranteed!) is cooking or baking. Put me in a kitchen with some music and some essential ingredients and for every moment that I am mixing and creaming and sifting, I am a happy, happy girl. Preheat the oven to 350. Lightly grease two cookie sheets (I used coconut oil) and set them aside. Cream the butter and sugars together in a bowl until they are combined, then add your egg and vanilla and mix until they are combined as well. Next, stir in the baking powder, baking soda, salt, and cinnamon. Now, add the flour, but do this SLOWLY. You want to mix as little as possible (while still combining the ingredients of course), otherwise the cookies will be less chewy, more tough and weird. Just do a little at a time (half and half works) and mix until JUST combined. Finally you can add your oats and, again, mix only until it’s just combined enough to roll into dough. Place on a cookie sheet at least 2″ apart (I got 2 dozen cookies out of this batch exactly) and bake for 8-10 minutes until the edges are lightly brown and the middles are still a little doughy-looking. Take them out of the oven and let them sit for a few minutes to set. TRY TO RESIST THE TEMPTATION TO EAT THEM RIGHT AWAY, I promise they will still be warm in a few minutes, but they won’t fall apart. Enjoy warm, preferably with a glass of milk. Ugh now I want another one. 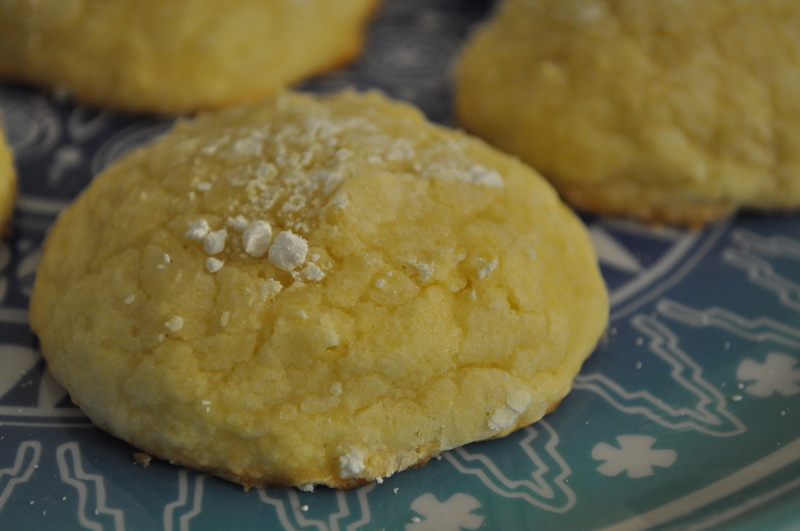 I’m gonna have to make these cookies again and again and again. They are too good. Categories: Dessert | Tags: cinnamon, cookies, dessert, oatmeal | Permalink. Preheat the oven to 450! 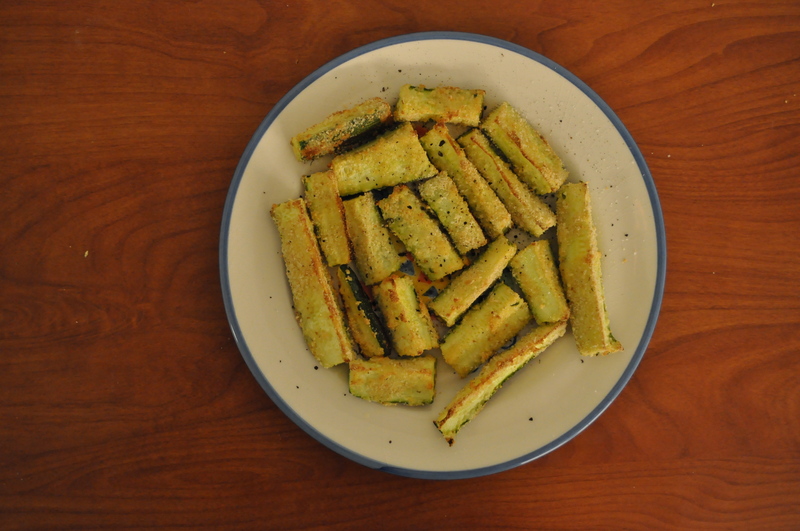 Basically all you have to do is mix the breadcrumbs and parmesan together, coat the zucchini pieces in egg, coat them in the crumbs/parm combo, and arrange them on a lightly greased cookie sheet. Stick them in the oven for about 12 minutes or until they start to get tender and lightly brown around the edges. I took them out, drizzled some olive oil and sprinkled some salt and pepper on top, and proceeded to thoroughly enjoy them. These were delish. Can’t wait to make them for my roomies. 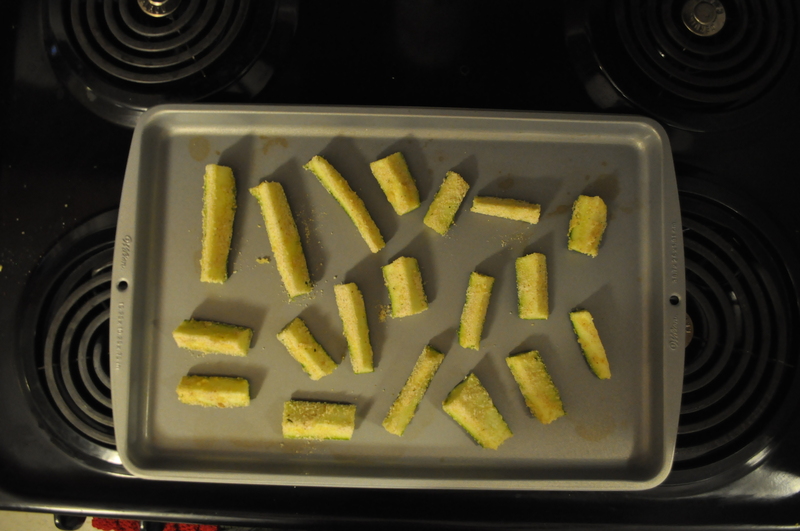 Categories: Dinner, Snack | Tags: baked, fries, snack, vegetarian, veggies, zucchini | Permalink.